After a century of making Moccasins by hand, Quoddy know a thing or two about producing some of the finest traditional moccasins on the market today. 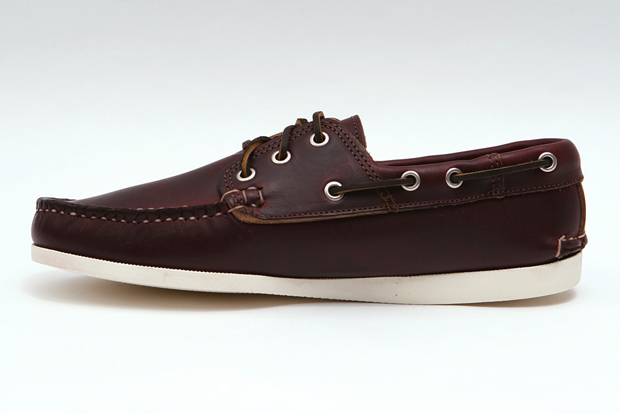 Here is one of their latest offerings, the Quoddy Boat shoe. 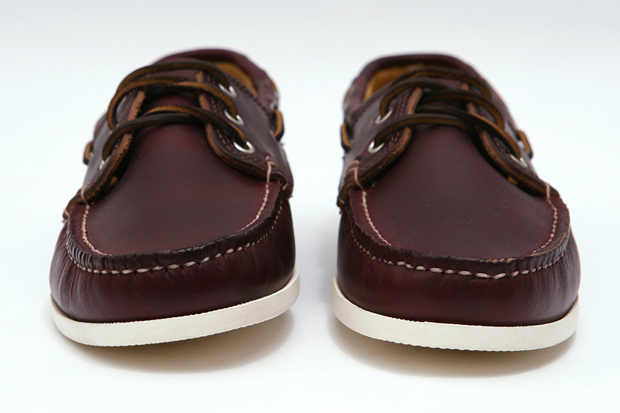 The whole upper is produced in a beautiful burgundy Chromexcel leather from the Horween leather company, produced using colouring and finishing techniques dating back over 100 years – this is the sort of leather that only gets better with age. Now, I’m not a sailor, nor do i find myself on boats all that often, so the majority of benefits found in wearing a boat shoe in open water only go to waste on me, however the one thing I find is that boat shoes are usually extremely comfortable, almost slipper-like, so with a full leather insole and heel padding these are dead-cert to live up to the job. 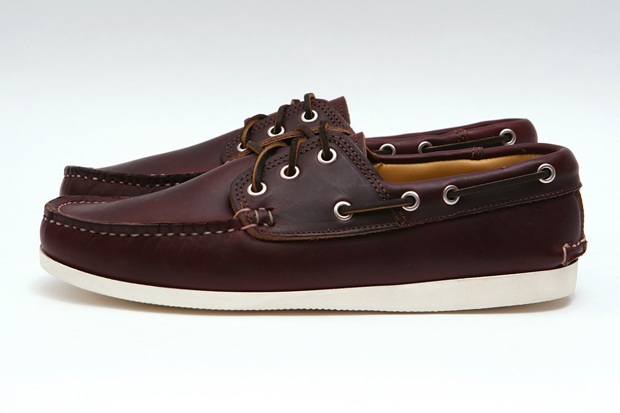 I’m loving the look of these, mostly because I’m a sucker for comfort and as Synamatix will tell you, red wine. 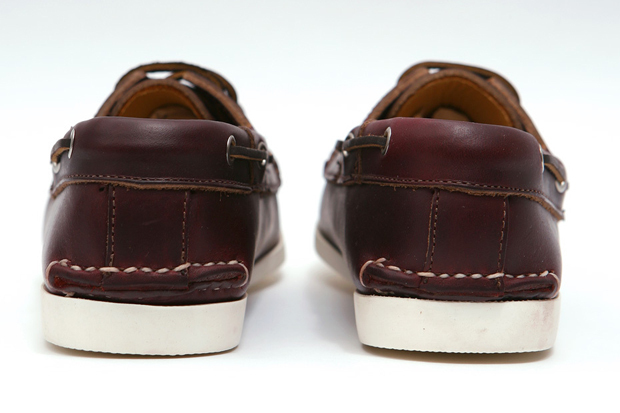 That deep burgundy leather is doing big things for me in the colour department, especially when they are offset against that white unit brick sole (and combined with a nice glass of red). 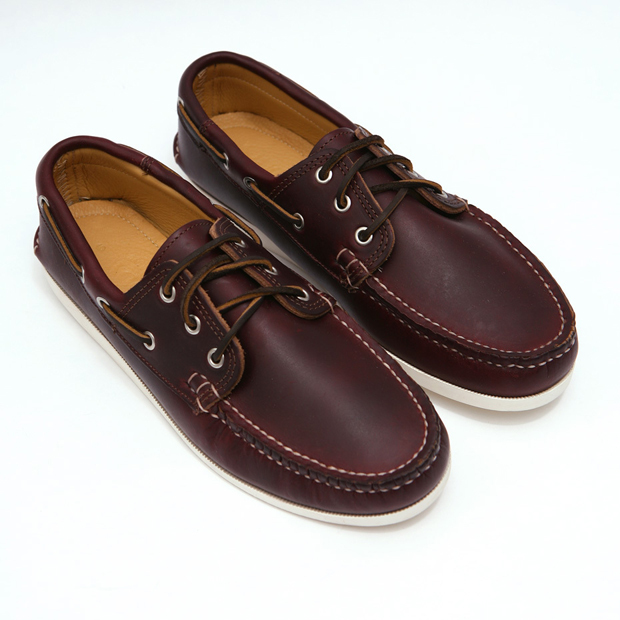 Being handmade, production numbers are limited, so be quick to scoop them up from Oi Polloi for £175 before they go. Massive fan of the DS, so I thought I’d finally post a comment, because my deck shoes are very close to my heart! I bought mine from Crew, and have had them for about 2 years now… and as u very correctly said, they only get better with age! Every scuff/stain only adds to their character! My only one issue is…. what do you do with the laces? Tied or inward laced?